This is an extremely nerdy post, but I have worn out most of the ankle socks I wear around the house. 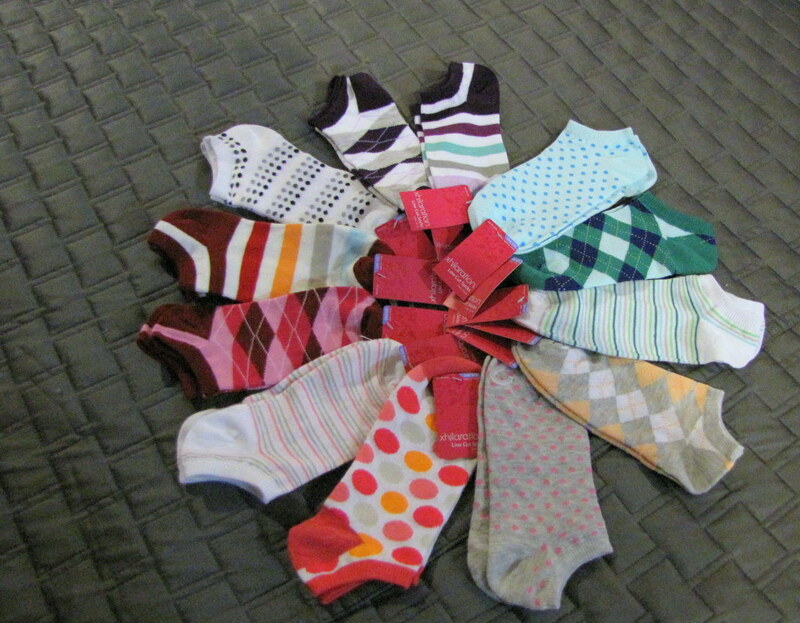 So I was beyond excited last week when I found all of these socks at Target for $1 a pair. I have a thing for polka dots, argyle, and stripes (in that order), so this assortment was so exciting to me that I just can’t bring myself to take the tags off and wear them yet. Plus I need to make room in my sock drawer. But their time is coming….